Welcome to Day #6 of Raw Chocolate Theme Week. 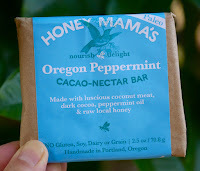 Today's Oregon Peppermint Cacao-Nectar Bar from Honey Mama's (Portland, OR) was a great blend of coconut, peppermint, salt and chocolate flavors. * The fact that it was slightly cool (from refrigeration) seemed to highlight the natural mint flavor a bit. This raw, paleo, gluten-free bar was slightly soft and chewy (from the coconut). 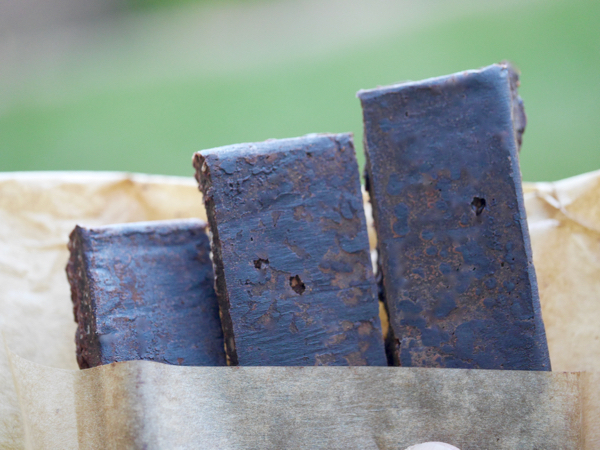 Honey Mama's offers a line of several different raw Cacao-Nectar bars. (I'm featuring four of them this week.) 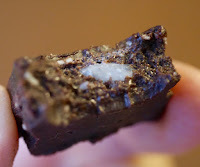 All of them have coconut in them and were labeled as paleo and gluten-free, soy-free and dairy-free. 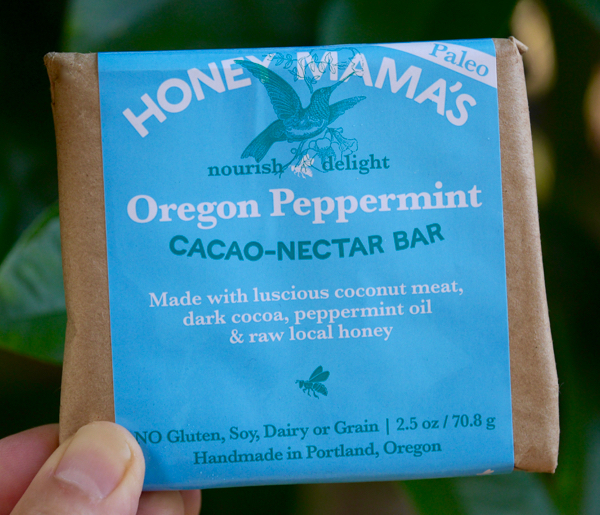 *Ingredients included: coconut meat, dark cocoa, peppermint oil and raw local (Oregon) honey.